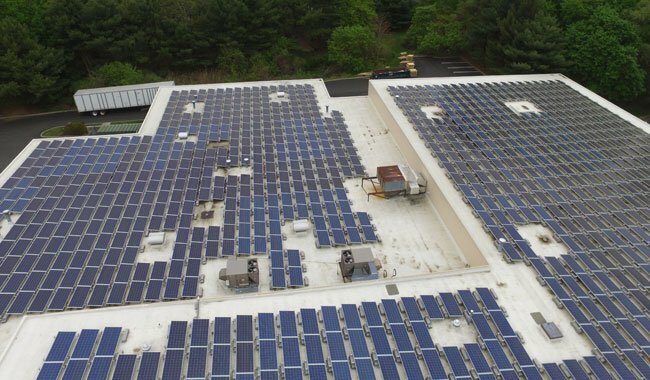 Uneeda is proud to announce that we have been using solar power to help run our main manufacturing facility located in Spring Valley, NY. Bruce Fuchs, President of Uneeda, installed solar panels as a good alternative to replace fossil fuels. The solar panels cover close to 30,000 sq. ft. of the roof to capture the energy from the sun and convert it to electricity, helping to power Uneeda’s 60,000 square foot facility. As of early April 2017, Uneeda has generated 636 Megawatts of electricity by using the solar panels. This is equivalent to 985,121 pounds of CO2 emissions, planting 24,813 trees and the ability to power 1,927,981 bulbs for a day.